What Oreck accessories do I need? If you find yourself asking this question, you came to the right place. We don't recommend Oreck air purifiers. However, we know that not everyone listens to us. So in an attempt to be fair and help everyone, here are some accessories available for your air purifier. All Oreck air purifiers use the Truman Cell. You can clean this with soap and water. Sometimes the dust gets built up on the plates. When that happens you need a special cleaner. Oreck makes Assail-A-Cell. This cleaner is designed to remove all the crud on the collector plates. It rinses clean in water and leaves behind a lemon scent. It is $15 a bottle. 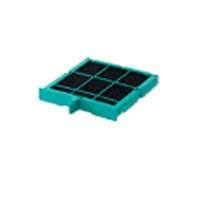 Odor absorbers are used to get rid of odors and VOCs. These filters need to be replaced at least once a year and maybe sooner. They are $50. 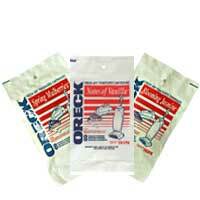 There is one absorber for use in the Oreck Proshield. The Oreck Tower Air Purifier uses odor absorbers plus. They are also $50. These odor absorbers are optional. You do not have to use them. If you choose not to use them, the efficiency of the air purifier will not be lowered. Scent cartridges are available for the tower air purifier. They come in mulberry, jasmine, and vanilla scents. They are expected to last about 1 month. They cost $10 each. There is a package for the tower air purifier. 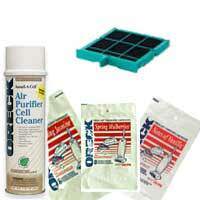 You can purchase an odor absorber, a scent cartridge, and the cleaning spray together for $60. You can save about $15. This is available at Oreck's online store. Leave Oreck Accessories and Return to Oreck Air Purifiers Page. 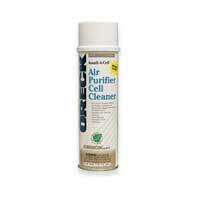 Leave Oreck Accessories and Return to All About Air Purifiers Home Page.